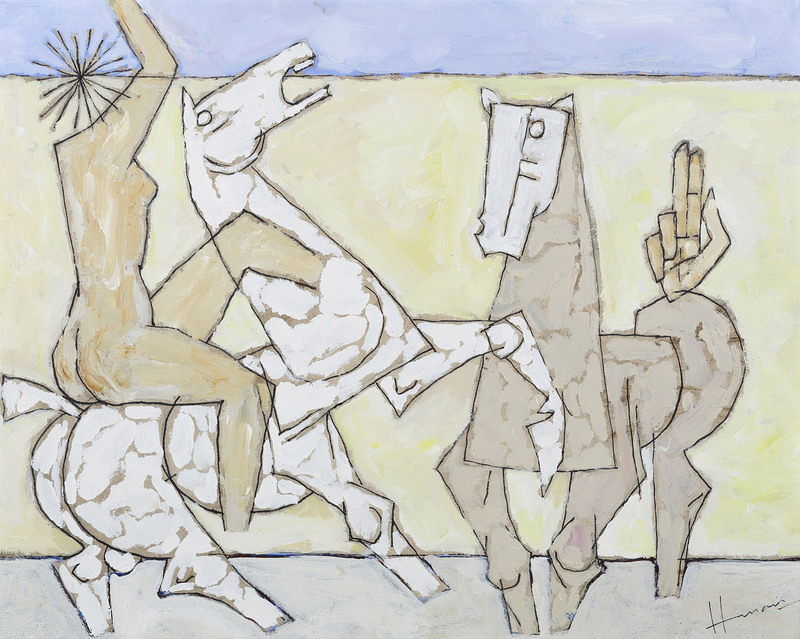 Maqbool Fida Husain was born in 1913 in Pandharpur, Maharashtra. In 1947, he was invited by F N Souza to join the Progressive Artists' Group in Mumbai. When he took up painting as an art form, he blended folk, tribal and mythological art to create vibrantly contemporary, living art forms. 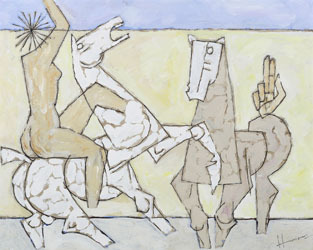 Husain often juxtaposed man and horse in an entwined composition; his horses are strong and dynamic in movement and tend to overpower the human figures in the same work. This is an overseas lot and will require customs duties for import into India.